Solo Piano Music. By Helen Marlais. By Helen Marlais. CD. Classical Piano Music. Classical Period, Romantic Period and Baroque. Listening CD. Published by The FJH Music Company Inc (FJ.SRCD1002). 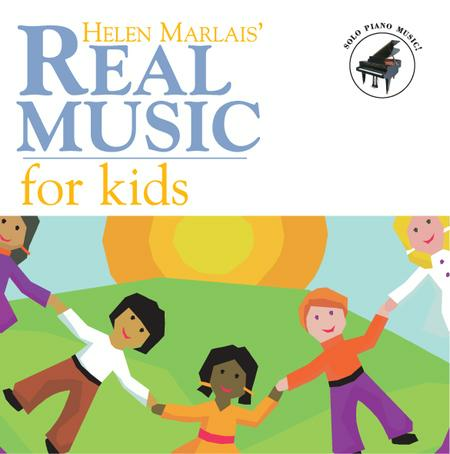 The FJH Music Company is pleased to present Helen Marlais' Real Music for Kids, an outstanding new compilation CD that offers children an opportunity to experience classical music in their everyday activities. The pieces were carefully chosen to suit a young child's "level of listening". Dr. Helen Marlais, classical pianist and prolific educational author, has devoted her pedagogical career to bringing great music to young ears. This CD includes pieces from some of Dr. Marlais' celebrated publications, Succeeding with the Masters Volume One, (Baroque, Classical, and Romantic eras), and The Festival Collection, Books 1- 4.